One thing about having four children is that there always seems to be someone getting married, having children or some other wonderful milestone unfolding! My youngest son is about to get married next weekend and during a bachelorette dinner the other night, many of the women were talking about how busy they have been getting everything together to make sure it’s a day my son and future daughter-in-law will never forget. There is so much that goes in to planning a wedding and I can’t tell you how many times I’ve seen couples drained and exhausted from all of the obligations, budgets and never-ending details. Some couples (understandably) get so stressed out and caught up in the planning process that they forget about nurturing the relationship! Not to mention, the ongoing anxiety can also wreak havoc on close friends and family. One of the best investments a couple can make is utilizing a wedding planner to keep the strain off the relationship and keep them focused on why they are getting married in the first place. If the budget doesn’t allow it, find other areas where you can cut back expenses because keeping the pressure off of both of you and maintaining intimacy should always remain a priority. Set ground rules from day one on which partner is expected to do what and stick to them. Also, remember to take time throughout the process to truly enjoy one another. This means setting aside the wedding or even discussion of the wedding intermittently to talk about each other’s day, reconnect and nurture the intimacy that brought the two of you together in the first place. 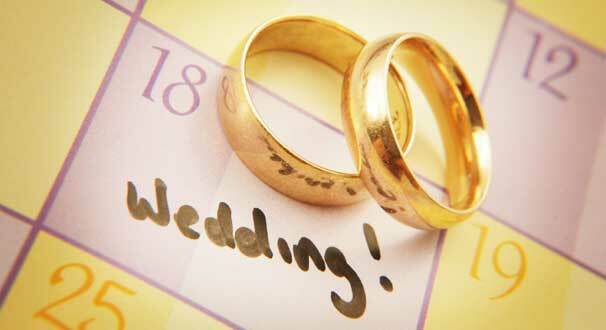 Wedding planning is about working toward a dream that should last long after the day of your wedding is over. One Response to "Pre-Wedded Bliss"
Thanks for posting this Patty. I recently got engaged, and we’re so busy working on wedding moments, that we sometimes forget about each other. My fiance and I have both made it an obligation to focus on each other first, before we start talking about wedding issues. This was a great little reminder for me.